Tomoko Tahara has been creating original design hats and accessories since 1996, she works as a freelance designer with several hat companies in Japan, and her work has been displayed in selected boutiques and department stores around Tokyo, Kyoto and Osaka, Vancouver. Since 2011, she is involving to create art hats more than ready to wear hats. 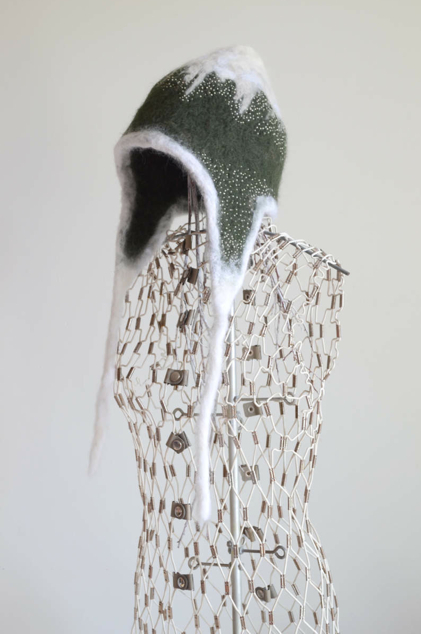 In a contest "Design for Stephen Jones", Tomoko Tahara's work "snow cap(the top page photo)" has been commended and shortlisted by mr. Stephen Jones and Mrs Dolly Jones(British vogue.com) .It is also featured on vogue.co.uk. Tomoko Tahara has been creating original design hats since 1996, she worked as a freelance designer with several hat companies in Japan, and her work has been displayed in selected boutiques and department stores around Tokyo, Kyoto and Osaka, Vancouver. collaboration exhibition "Tomoko Tahara & Kodai - Do the right shing"